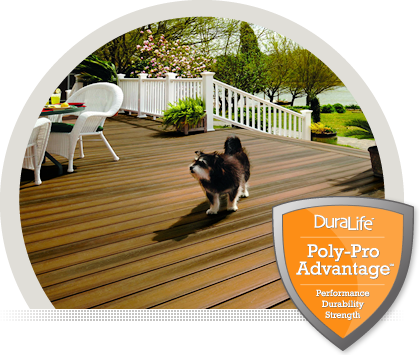 DuraLife Decking is made in the USA to the highest quality standards. DuraLife’s Hardwood Blends collection offers the beauty of finished tropical hardwood. They come in four natural, easy-to-maintain earth tones. See more at: http://www.duralifedecking.com. Please visit our DuraLife Decking Melbourne showroom – open 6 days a week. Made from our unique polypropylene and hardwood composite so it’s strong, yet lightweight. 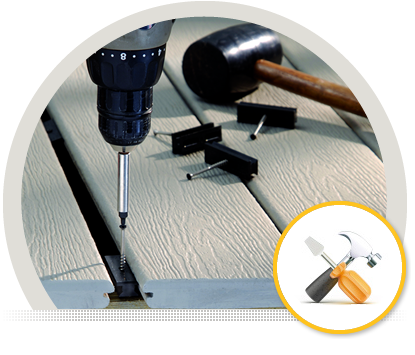 Proven co-extruded, capped surface protects the deck from everyday wear. Built-in resistance to staining, fading, mold, and mildew. With no exposed wood fibers on the surface maintenance and cleaning is easy. 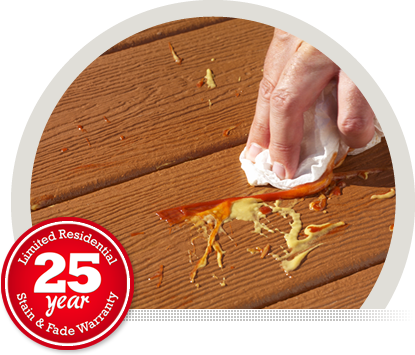 We guarantee all DuraLife decking with a 25 year Stain & Fade warranty. A clean and beautiful look while remaining strong, durable, and easy to install. The specially-designed groove system provides stability and a barefoot-friendly surface. Engineered to resist rotting, splitting, staining, and warping with very little maintenance. No more scraping, sanding or painting your deck every year. 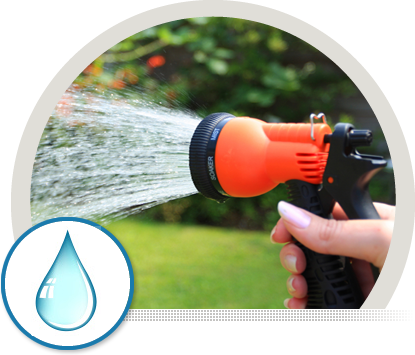 Simply sweep your deck regularly and periodically wash with soapy water and rinse with a hose. 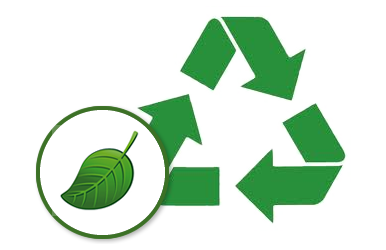 Manufactured using both post-industrial and post-consumer recycled content with a maximum recycled content of up to 90% by weight; no toxic chemicals or preservatives.